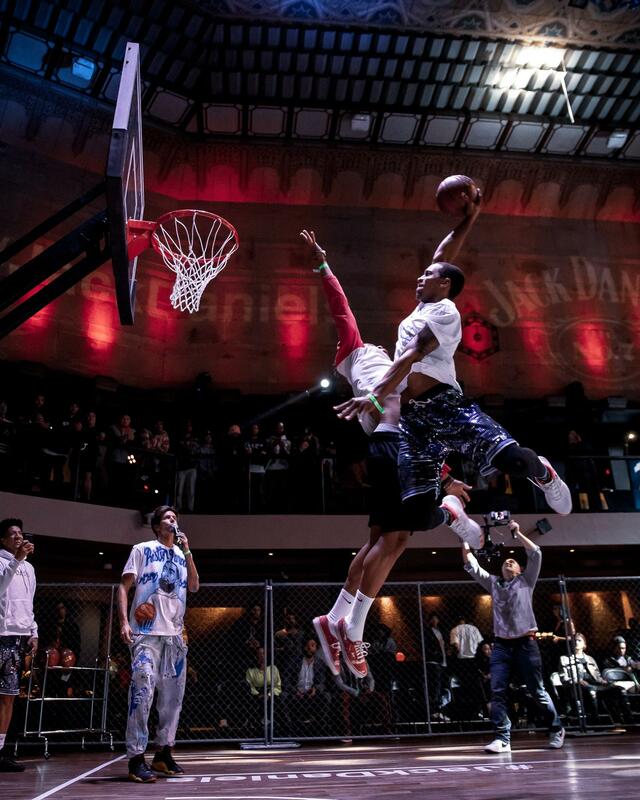 Just when you thought you’ve seen it all from Veniceball they raise the bar. 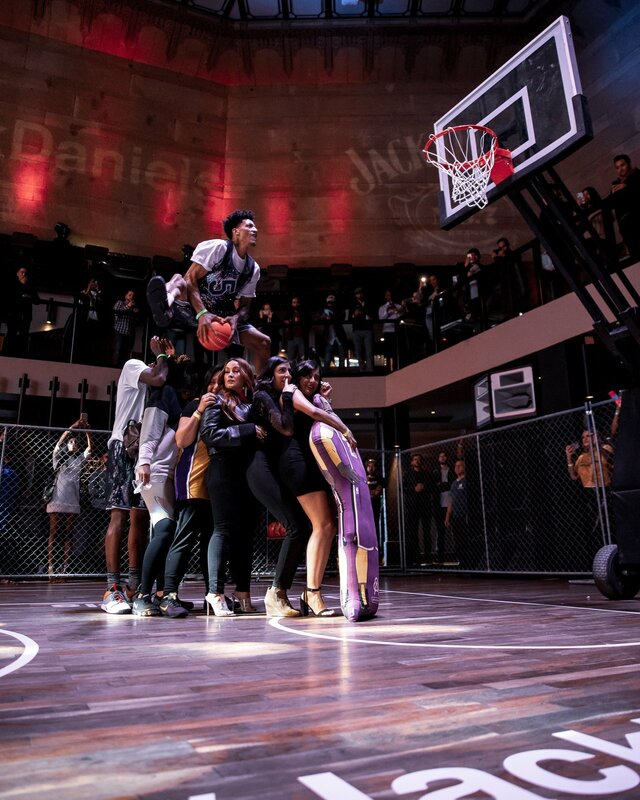 Thursday, April 4th 2019, at Exchange nightclub in downtown Los Angeles, Veniceball collaborated with Jack Daniels, The Kyle Kuzma Foundation, and Active Dreamers to bring an experiential basketball court to the center of the dance floor. This unorthodox moment took place during the game between the Los Angeles Lakers vs. Golden State Warriors. The star ladened evening featured appearances former NFL star Mercedes Lewis, internet sensations Nicknackpattiwhack and Maxisnice with a brief cameo from Boomerang star Jasmine Luv, who were all in attendance. 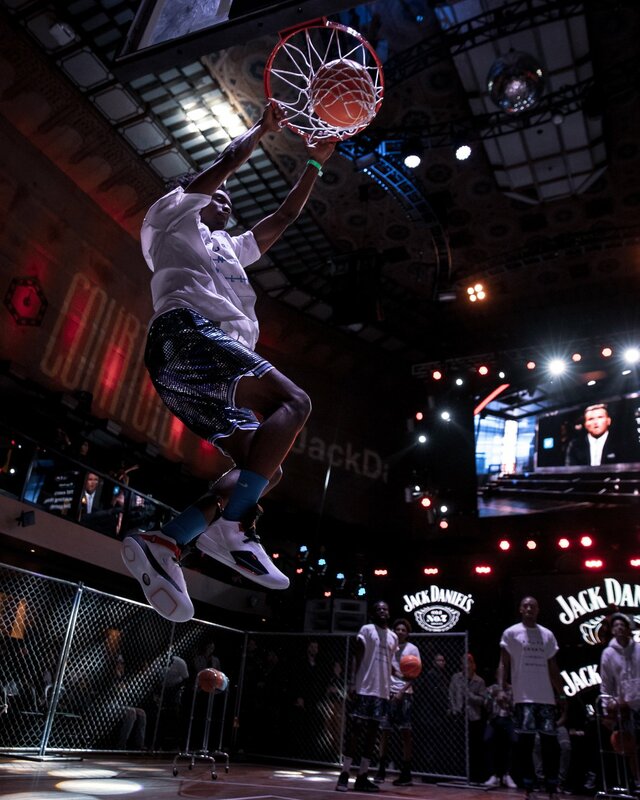 Attendees received an opportunity to participate in a 3 point shooting contest which was followed by a dunk show by the acclaimed VBL All-Stars. 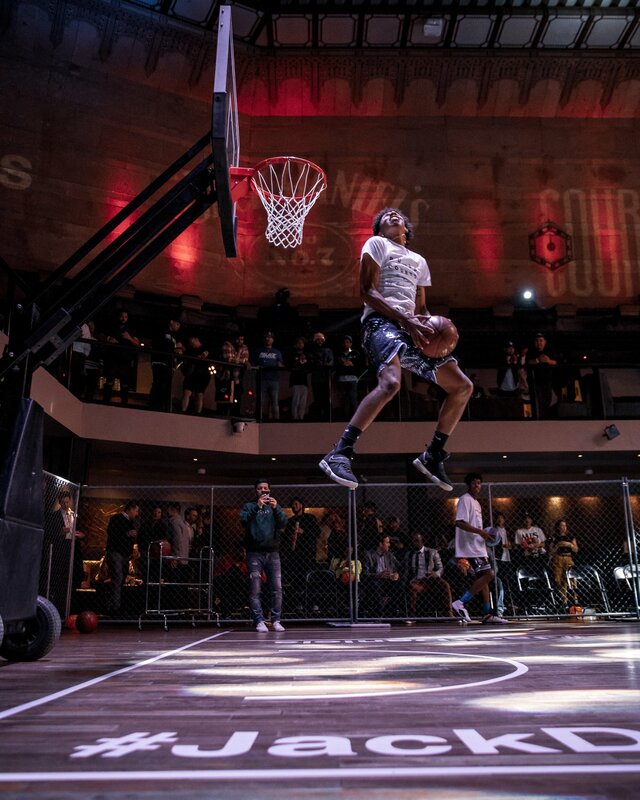 Lead by Michael Purdie, arguably the world’s greatest dunker, the guys from VBL didn’t disappoint and exhilarated the crowd. 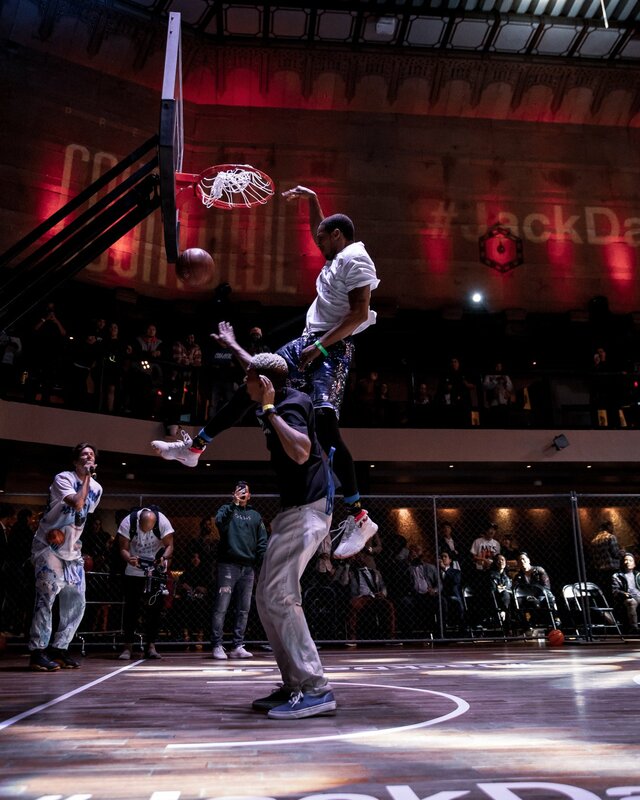 Michael then proceeded to shutdown the show with a dunk in which he leapt over six people to slam it down. 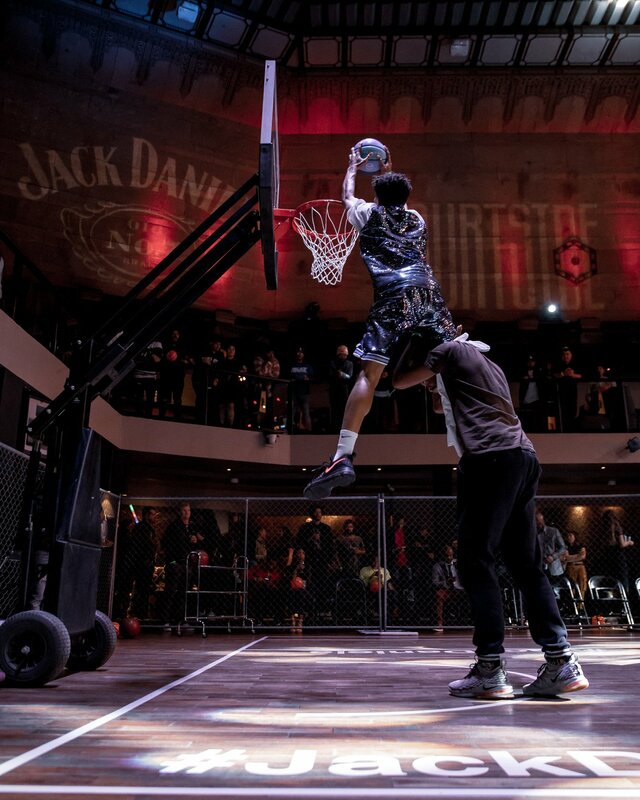 As the Jack Daniels flowed all eyes were on the court as the producers, founders of each respective organization, dunkers, and crowd mingled into an open court soiree. Kyle Kuzma rounded out the night, pun intended, by managing to make his way to the event despite just completing the game against the Warriors. Veniceball felt right at home at Exchange as they lit up the club with beach vibes in which the LA nightclub has never felt before. 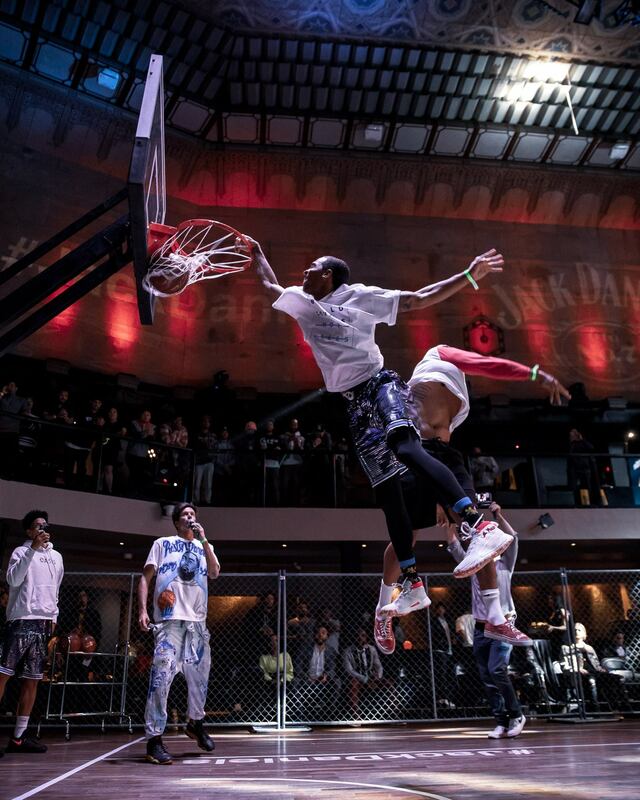 From Venice’s very own Mouthpiece rocking the crowd to the custom sequin uniforms, Veniceball had the club going up on Thursday.